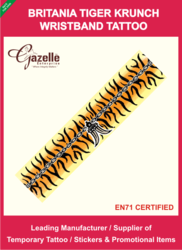 Henna Tattoos offered comes in quality construction finish and can be made available by us in choice of different material options like tattoo paper, transparent pp film and others. 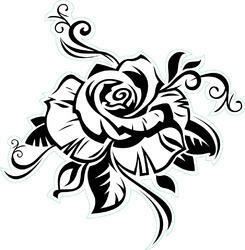 Further, these tattoos can be offered by us in choice of different sizes. 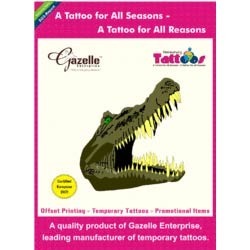 Some of its features include option of developing in custom sizes as demanded by customers; choice of different printing like gold /silver, CMYK, screen printing, UV printing and others; provide for safe and non-toxic usage; easy to apply and remove; support decorative presentation on body and promotion purposes. 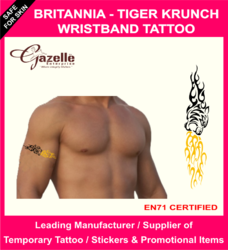 Originally inserted as a prize in bubble gum packages, they consisted of a poor quality ink transfer that would easily come off with water or rubbing, today’s temporary tattoos last for weeks it’s a custom promotional item used as the free promotional item for promoting confectionery products such as biscuits, bubble gums, candies, peppermints, chocolates, as the boosters at events such as Indian premier league (IPL)as advertisements for cartoon channels such as cartoon network (CN), pogo. 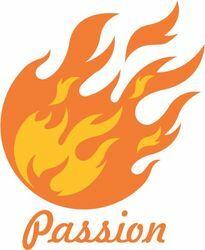 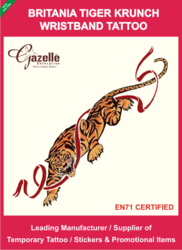 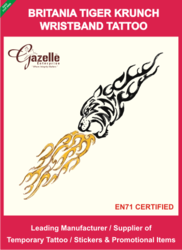 Gazelle enterprise is not only the largest manufacturer of tattoos in India but also is the pioneering company in temporary tattoo business. 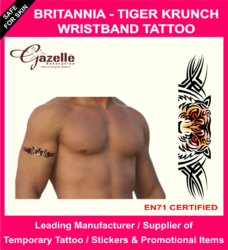 We as tattoo company have worked with reputed companies, who are well known for promoting business with tattoos like, cartoon network, parle biscuits, parle agro-frooti, ITC-sunfeast, horlicks cream biscuit tattoos, godrej hersheys for nutrine maha lacto tattoos, Mumbai Indians – IPL, Chennai super kings-IPL, HSBC and others. 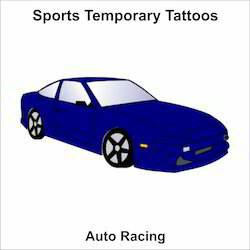 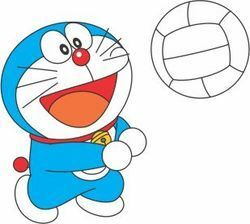 Looking for Colored Tattoos ?